Flexo PET Flame Retardant Expandable Braided sleeving is the perfect choice for electronic and high tech applications where flame retardance and durability are primary concerns. Ease of installation makes Flame Retardant Expandable Braided sleeving an efficient choice for long runs of wire or cable. 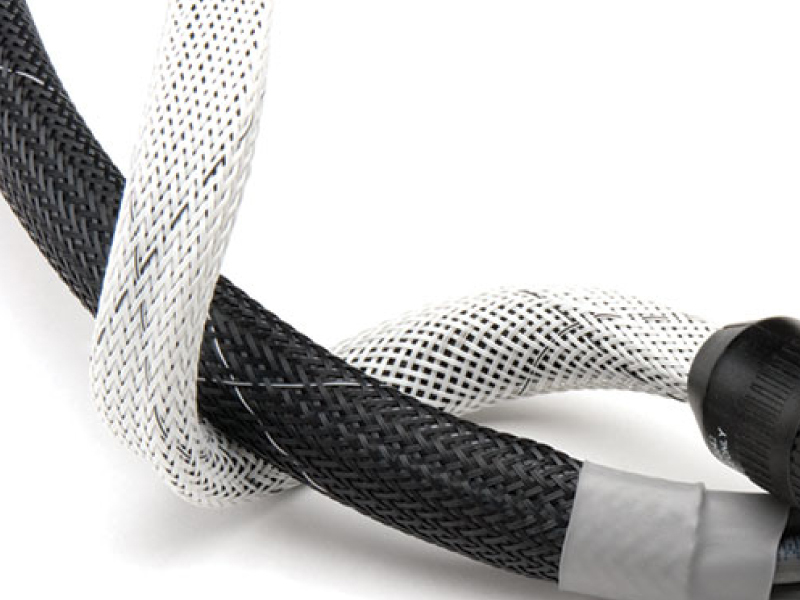 The addition of an organic combustion inhibitor to our standard polyethylene terepthalate gives Flame Retardant Expandable Braided sleeving an Underwriters Lab and CSA flame resistance rating of VW-1. 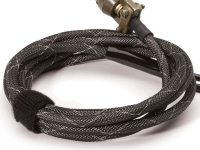 Flame Retardant Flexo PET expandable sleeving is braided from 10 mil polyethylene terepthalate (PET) monofilament yarn that has been compounded with an organic flame spread inhibitor. 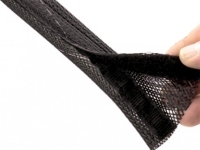 The sleeving easily expands up to 150% and gently constricts around irregular shapes. It remains flexible over a wide temperature range and is resistant to chemical degradation, UV radiation and abrasion. Flame Retardant Flexo PET is tested and approved for use under FAR 23/25, FMVSS 302, UL and CSA material standards. Additionally, it is in compliance with RoHS, the European directive on the Restriction of Hazardous Substances. It is ideal for a limitless number of electronic, automotive and industrial wire management and bundling applications, wherever flame spread is a primary safety consideration. 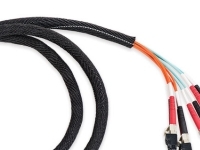 Examples include engine compartment dressup, home theater wire management, customizing computer case wiring, office wire management, automotive harnesses, and many more. Flame Retardant Flexo PET is available in black with a white crisscross tracer, or white with a black crisscross tracer. These tracer filaments are braided into the sleeving to identify the product as Flame Retardant. 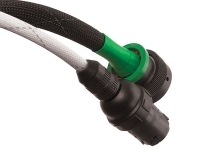 The material cuts quickly and cleanly with a hot knife or similar tool, and once installed, will beautify and protect any wire, hose or cable application. To terminate the ends of any application you can use heat shrink tubing, cable ties, hook and loop straps, or plain electrical tape. * Available in TB, GW and TW.